French automaker Peugeot wants to be more than a car manufacturer in the self-driving future. It wants to be your coach, therapist, and butler, all rolled into one. At least, that is what Peugeot’s Instinct concept car is trying to achieve. See Also: Getting good self-driving road manners from…the Swiss? 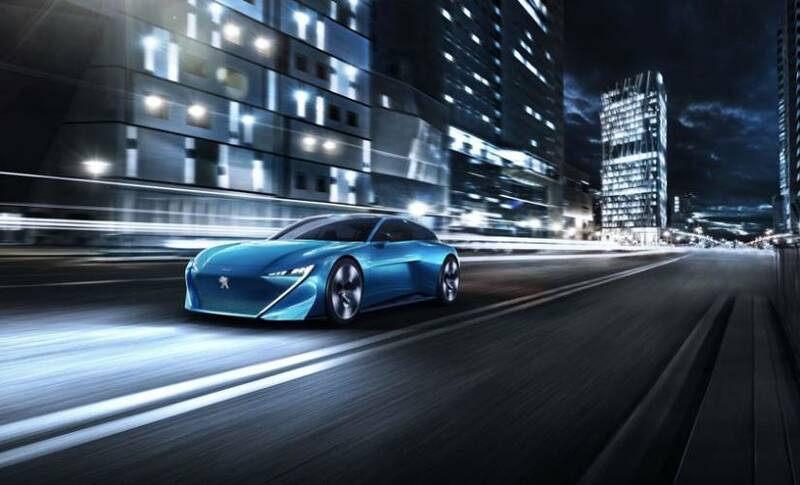 Unveiled at Mobile World Congress (MWC) in Barcelona last week and in more detail at the Geneva Motor Show today, Instinct is Peugeot’s big step into the technology market. The car, if fully realised, may be able to compete with Amazon, FitStar, and Google. Peugeot has said it will develop four different driving modes for the car: drive boost, drive relax, autonomous soft, and autonomous sharp. We are still short on details, but the automaker said each mode would provide a different experience for the driver. What’s interesting is the way Peugeot goes about choosing the mode. Instead of the driver simply pressing one of the four available, it will use Samsung’s Atrik service to check all connected devices and figure out what mood the driver is in. One example of this, for autonomous soft, is checking the driver’s heart rate to see if they have had a stressful day. Peugeot is also able to check connected devices like a fridge and tell the driver that they need to purchase more milk. All of the interior changes depending on the mode, according to Peugeot. It introduced this feature last year, called the i-Cockpit interior, which folds the steering wheel and control panel when it goes into an autonomous mode. Peugeot is one of the few automakers focused on providing both a driver and driverless experience in the future. Ford has already said it will skip Level 3 autonomy to build a fully driverless car quicker, and GM might be planning a similar route. Evidently, Peugeot does not see drivers moving to a fully driverless experience anytime soon. Instead, the subsidiary of PSA Group expects drivers to want control and the ability to tune out to both be available in cars of the future. The Instinct concept is still quite far away from being realized and unlike other automakers, it requires IoT devices finding a common connectivity platform, consumers purchasing more devices, and sharing more information with these devices.